Plot: One man, inexorably torn across two cultures, fights to forge a new nation at the ends of the Earth. Our all-too-human hero, ship captain, merchant adventurer, and philanderer, Robert Coffin is pulled between two proud nations - on the one side the pompous yet fierce British with their traditions, decorum, trade and gunboat diplomacy and claiming a moral imperative to push trade and religion and Western values, and on the other side the the honour-bound yet viciously violent Maori willing to stop at nothing to preserve their way of life and liberate their sacred land through driving out all the invading European settlers back into the oceans from whence they came. Can the Maori successfully employ their warrior prowess with the necessary strategic guerrilla warfare tactics to be the first ever to stem the historical tide of European settlers conquering every indigenous race they ever meet, or will either side manage to heed in time the rambling warnings of the tired, old shaman before the New Zealand motherland herself delivers a tragic blow on such a scale as to afflict both races and force them to cooperate in order to simply survive? 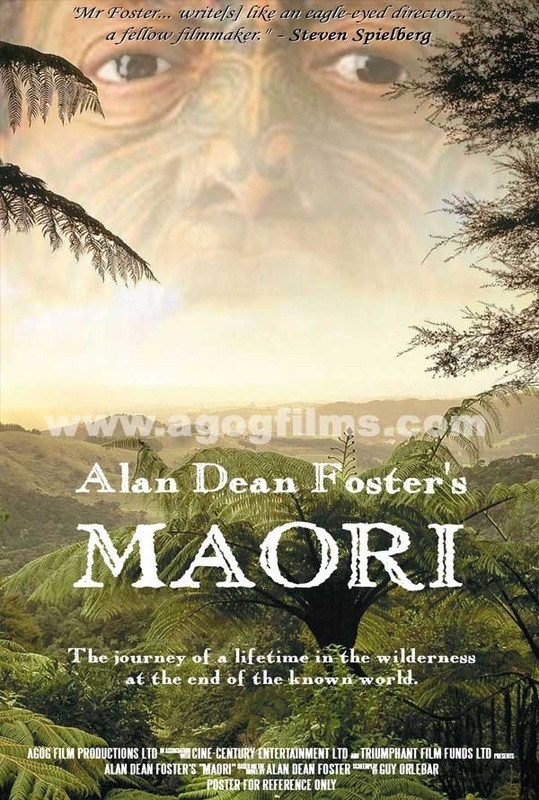 Featuring all the trappings of an epic tale- love, lust and loss, triumph and tragedy, drama, romance, and excitement- and based on the original novel of the same name by New York Times Best Seller Alan Dean Foster ("Star Wars", "Aliens", "Transformers", "Terminator Salvation"), MAORI is at heart a historical actioner perfect for the big screen, in the same vein as any of James Clavell's best Asia Saga novel classics. MAORI... experience the journey of a lifetime. © 2007-2015 Agog Film Productions Ltd. / Triumphant Film Funds Ltd. All rights reserved. Please contact us at info@agogfilms.com or info@triumphantfilmfunds.com with any queries.